Chic flowers and cloud with little stitch accent included. 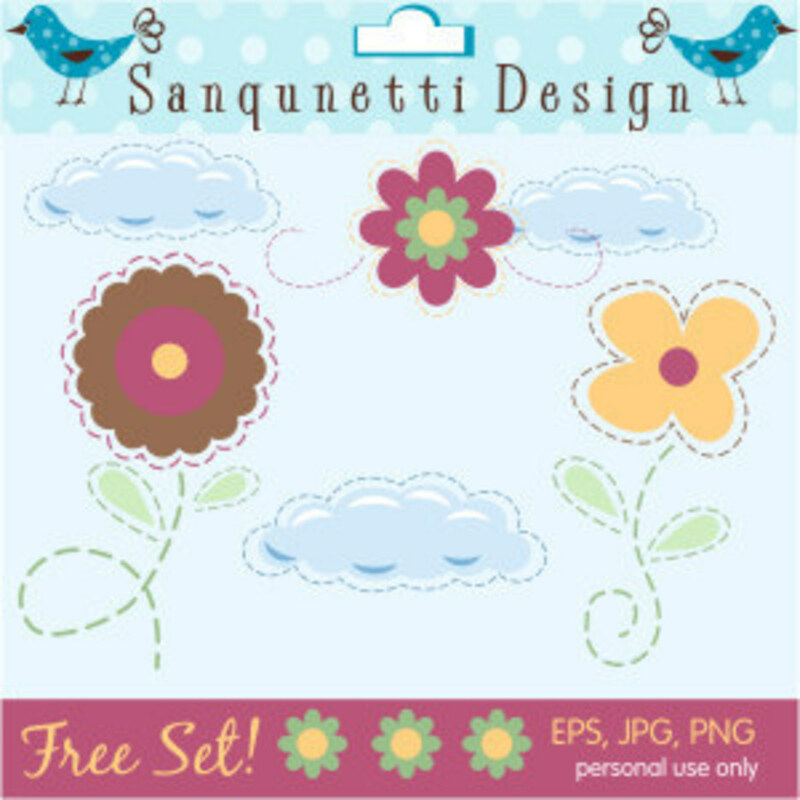 Great for embroidery, greeting cards, or applique designs. Personal, non-profit only.